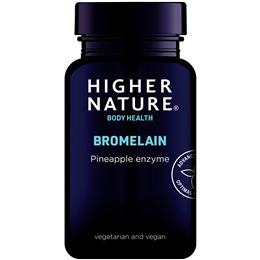 Bromelain is a powerful digestive enzyme, from pineapple and one of the most efficient aids to digesting protein and supporting digestion. It also helps maintain a healthy cardiovascular system and normally dispersed blood platelets, which makes it ideal for long distance flights. Bromelain has many other uses, including maintaining a healthy cardiovascular system and normally dispersed blood platelets. Ideal for long distance air travel. Particularly useful for older people or anyone who wants to maintain optimum digestion and absorption. Digestive enzymes are proteins specially tailored to break down foods into nutrients that your body can then readily digest. When you eat a meal, digestive enzymes that are released from your salivary glands, stomach, and small intestine immediately get to work to speed up the digestive process. Digestive enzyme products are recommended to support healthy digestion and enhance nutrient absorption. Bromelain, vegetarian capsule: hydroxypropyl methylcellulose; bulking agent: rice bran; medium chain triglyceride. Take 1 capsule 3 times a day (children over 8 years, 1 capsule twice a day), with meals, or as your health professional advises. Below are reviews of Bromelain - Digestive Enzyme - 90 x 300mg Vegicaps by bodykind customers. If you have tried this product we'd love to hear what you think so please leave a review. 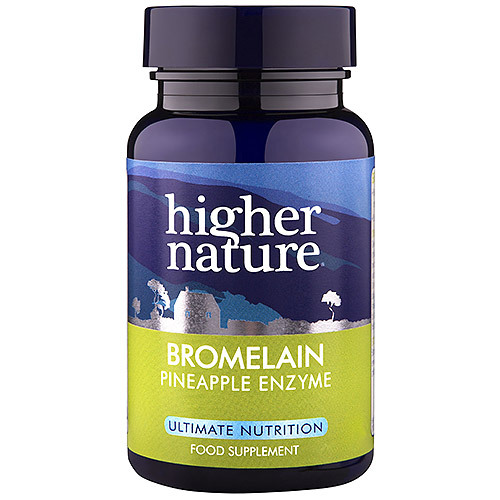 Bromelain is a powerful digestive enzyme from pineapple and one of the most efficient aids to digesting protein and supporting digestion.